We offer a wide range of professionally accredited qualifications to suit those starting out and advancing their career in fitness, with online, blended learning and practical skills workshops to ensure you’re ready for the workplace. Explore our suite of level 2 Fitnes Instructor, level 3 Personal Trainer and CPD training solutions to find the right course for you. Ready to take the next step with your fitness qualifications? We know that sometimes it’s useful to have a helping hand in choosing the fitness qualifications that are right for you. Whether you are starting out in your fitness career or are ready to progress to the next level, we equip our students with fully accredited and industry endorsed certifications enabling them to fulfil their potential and become successful Fitness Professionals in their own right. 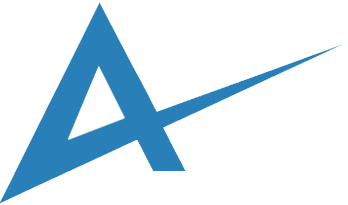 At the Academy of Fitness Professionals we’ve accumulated years of expertise in helping our students find their perfect course. 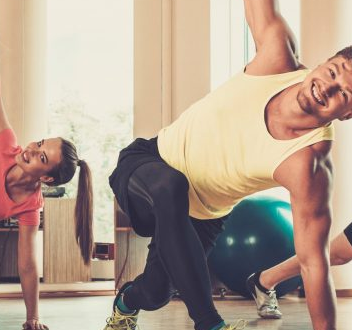 What’s more, we know the all important questions to ask – so we’ve put our comprehensive fitness qualifications online and FAQ guide packed full of information and helpful tips to get you on the right path to success. Browse our courses and the answers to our students most frequently asked questions below. The average time it takes our students to become a Personal Trainer is three to six months. Timescales will vary according to the time you have to commit each week. The great thing about our fitness courses and teaching methods is you get to study at the pace that’s right for you. This works really well with fitting your Personal Trainer qualification around other commitments including work, family and hobbies. This means whether you’re seeking a quick personal training certification or like the idea of taking your time our course tutors are here to help you accomplish your goals. What certificate in personal training will I gain? We offer a range of personal training certifications. These are the level 3 certificate in personal training and our level 3 diploma in personal training packages. These are CIMSPA and REPS endorsed and this will appear on your certification together with our awarding body endorsement from the NCFE, who are one of the longest established educational bodies in the UK. Once you have completed your certificate in personal training, you will be able to join CIMSPA and REPS as a industry accredited Personal Trainer in your own right. This showcases your credibility in the fitness industry offering assurances to your PT clients that they’re in safe, expert hands. 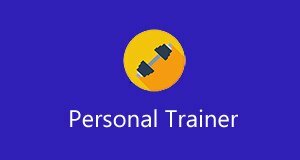 How long will it take to get my Personal Trainer certification? Once you have received notificaiton from your course tutor that you have passed, your certifcate will be automatically requested from our awarding body, the NCFE. Students typically receive their personal training certifications within fourteen days of completing their studies. At the Academy of Fitness Professionals students receive two paper certificates. The first is your level 3 Personal Trainer certificate and the second details the modules you have achieved and relevant credits demonstrating you have achieved all the certifications needed to be a Personal Trainer. What’s the best accredited Personal Trainer certification? The best accredited Personal Trainer certification should be fully recognised by CIMSPA and REPs and endorsed by an independent awarding body. This offers assurance that the money you spend and the time you invest will lead to a certification that is recognised by both fitness industry employers and insurers. We are proud to work with CIMSPA, REPs and the NCFE and CACHE awarding bodies who have been established for over 150 years and oversee in excess of 340,000 learners annually. This means our personal training courses and procedures have undergone rigorous independent checks giving you the peace of mind that you are studying a course of the very best standards. We offer our students four qualification pathways which all lead to your complete CIMSPA and REPs accredited Personal Trainer certification. These credentials offer assurance to Academy of Fitness Professionals students in the calibre of our training courses and the certification you will ultimatly receive. 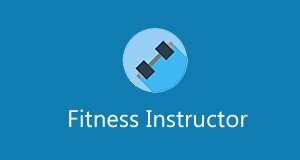 What’s the best way to gain my level 2 Fitness Instructor and level 3 Personal Trainer accreditation? If you are starting out in your fitness career and wish to become a Personal Trainer you will need both the level 2 Fitness Instructor and level 3 Personal Trainer accreditations. The best route to achieving both qualifications is with a diploma package course which leads to your level 2 certificate in fitness instructing and level 3 certificate in personal training. What Personal Trainer salary can I achieve? As a newly qualified level 3 Personal Trainer you can typically charge from £35 per hour rising to £50 plus with experience on the job. Prices vary depending on location, whether you are working in a gym or freelance and whether you are selling single or block sessions. Check out our blog feature on How to earn a £50k personal trainer salary. What’s the difference between the certificate and diploma Fitness Instructor courses? Both the level 2 certificate in fitness instructing and level 2 diploma in fitness instructing lead to your level 2 CIMSPA and REPs recognised, fitness industry qualification. The certificate is perfect for those seeking a career in fitness instructing or who are looking for a level 2 qualification that will give them a springboard onto becoming a level 3 Personal Trainer. The level 2 diploma is an NVQ qualification that includes an extra module focused on fitness instructor supervisory skills. This appeals to learners seeking a more advanced level of fitness instructor knowledge who have access to a workplace setting to complete the required practical work. What certificate in fitness instructing will I gain? We offer two fitness instructing certifications. Choose from the level 2 certificate in fitness instructing and the level 3 diploma in instruting exercise and fitness. Both of these fitness qualifications are CIMSPA and REPS endorsed and this will appear on your certification together with our awarding body endorsement from the NCFE. When you have completed your certificate in fitness instructing, you will be able to join CIMSPA and REPS as a industry accredited Fitness Instructor in your own right. Do you offer a level 3 Fitness Instructor course? If you’re keen on becoming a Fitness Instructor you need to complete a level 2 certificate in fitness instructing. There isn’t a level 3 Fitness Instructor course but if you’re seeking a level 3 fitness qualification, then the most popular route is a level 3 Personal Trainer course. How long does it take to become a Fitness Instructor? The average time it takes our students to complete their Fitness Instructor qualification is six to twelve weeks. Timescales vary according to the time you have to commit each week. The great thing about our fitness courses and teaching methods is you get to study at the pace that’s right for you and can complete the theory part of your fitness qualification online. This works really well with fitting your study in and around other commitments including work, family and hobbies. 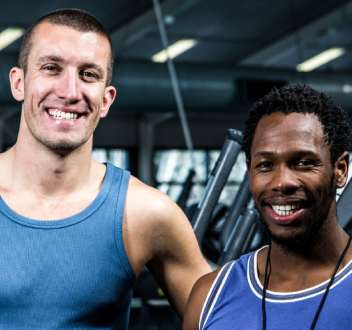 Yes – our fitness qualifications come with different payment options to suit our learners’ budgets. You can start your fitness industry education by choosing between 3 or 6 month instalments, or save 20% on course fees when you pay in full. Our course fees quoted are fully inclusive and you have two years from that date of enrolment to complete your studies. We accept all major credit cards and debit cards and Pay Pal. Can I book my place by paying a deposit? Yes. If you have a specific start date in mind you can reserve a place on your chosen fitness course by paying a 10% deposit. Unfortunately, we cannot accept deposit payments for courses booked within one month of their start date. What happens once I’ve paid for my course? Once you’ve booked your course we will send your enrolment forms to you. Simply complete these and return them to us and we will register you as a student for your chosen course. We will then arrange for your tutor to complete your course telephone induction. They will welcome you to the Academy of Fitness Professionals, introduce your course materials and workbook and chat through how to complete your studies. Your tutor will remain your personal point of contact for the duration of your course ensuring you get tailored support every step of the way. 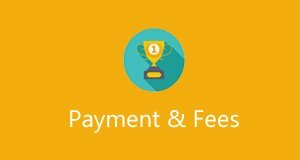 What should I do if I’m having difficulties paying my course fees? If you’re having difficulties paying for your course fees please contact us on 0845 270 1990. Once we’re aware of your circumstances we will be able to help and advise you further. Is your fitness industry training accredited? Yes – our fitness industry training delivers the best accreditions in the industry enabling our students to pursue rewarding careers. Our courses are recognised with CIMSPA, the Chartered Institute for the Management of Sport and Physical Activity and REPs, the Register of Exercise Profesionals. We are also a recognised UK Active training supplier and our training is independently endorsed by PD Approval. And it doesn’t stop there! We’re proud to partner with the NCFE and CACHE who are our external awarding bodies who have been established for in excess of 150 years. What’s special about your fitness qualifications? Our fitness courses have all been created by industry experts who practice at the highest level in personal training and run successful businesses. 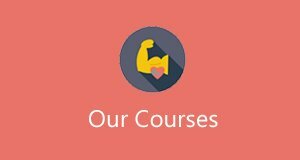 This means we can offer a unique level of support and guidance to our learners with their course theory, practical work and in establishing their very own client base and Personal Trainer business. Top this with great value prices and industry recognised accreditations from CIMSPA, REPs, PD Approval, the NCFE, CACHE and UK Active and our learners know they’re in good hands. Do your fitness qualifications include CPD points/credits? Yes – our fitness qualifications come with recognised credits which are attributed to each module of your course. When you have completed your course your will receive your overall certificate to show you are qualified and a spearate certificate listing the credits you have achieved for each module. Many of our courses also come with CIMSPA and REPs industry recognised CPDs and this is detailed our individual course pages. I’m not sure which course is right for me. That’s fine, we’re a friendly bunch and are here to help and advise on the best course for you. We’ve years of experience in helping our student start successful careers in the fitness industry so give us a call on 0845 270 1990 and we’ll be delighted to assist. What fitness training providers do you work with? We work with a wide range of fitness training providers including CIMSPA, REPS and UK Active to ensure our students gain the highest standard of education and fitness certification. You can see a full list of our fitness training providers below. How long do I have to complete my chosen fitness qualification? 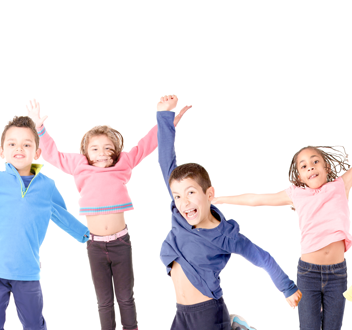 We offer a range of study methods for our fitness qualifications. These include fast-track, part-time and at your own pace. 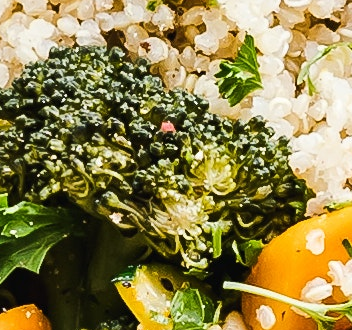 Our health and fitness courses are also valid for 2 years from the time of enrolment giving you the peace of mind that if anything unexpected crops up there’s still plenty of time to gain your qualification. How do I enrol onto my fitness qualifications? It’s really easy to book your course and get started on your fitness qualifications. You can book online through the dedicated page for your chosen course on our website. We also accept course bookings by phone and you can speak to a Course Advisor on 0845 270 1990. 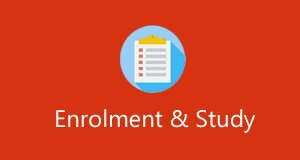 Yes as soon as we have received your course booking we will send your enrolment forms for you to complete. Once we have enroled you onto your course you will have access to your course materials and we will arrange your telephone induction with your course tutor. 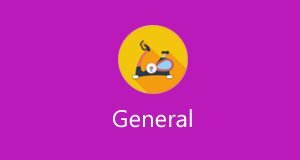 What help is available during my course? There’s plenty of help and support available throughout your studies. At the start of your course we will arrange your telephone induction with your tutor so they can introduce themselves and welcome you to the Academy of Fitness Professionals. From here, your tutor is your dedicated point of contact and is there to help and assist you all the way to becoming a qualified Fitness Professional. How long will it take to complete my fitness qualifications? Course durations vary according to the level of fitness qualification and your chosen study method. As a guide, level 1 courses can be completed from 3 weeks, level 2 courses from 6 weeks and level 3 Personal Trainer courses and packages from 12 weeks. Our NVQ (national vocational qualifications) are work based qualifications and typically take from 2 to 6 months. What happens during the course practical workshops? Our practical workshops are designed to develop your hands on skills in readiness for the workplace. They bring your course theory to life and give you plenty of time to practice in a safe environment. Held in state of the art gyms they give you the chance to learn from our team of experts and participate in gym based exercise to develop and fine tune your skills. When you reach the practical stage of your course your dedicated course tutor will contact you to explain everything and issue your practical workshop preparation pack which you bring along on the day. Where do course practicals take place? We run our course practicals nationwide from state of the art gyms. All venues have suitable road and public transport links and typically involve a maximum of one hours travel time for our students. Once you have received confirmation from your tutor that you have completed and passed your course you should receive your certificate within 14 days. Can you provide me with a course reference? Yes we’re here to help you secure your fitness job. Simply contact your course tutor and they’ll be pleased to have a chat about how we can assist. Yes, we have established links in the fitness industry that help our graduates progress their careers. We have also partnered with YPT (Your Personal Training) who offer our graduates a springboard into Personal Trainer job roles. That’s great. In the first instance please email your CV to us at info@aofp.co.uk. Unfortunatly due to the volume of work requests we receive we can only respond to candidates we’re able to progress. Yes, we offer a refer a friend scheme that rewards students with up to £100. Click here for details.